Tourism, which was almost non-existent in 1950, has grown to become the principal industry in the Great Barrier Reef World Heritage precinct. There are few statistics available from the early days but some indications of the growing awareness of the region as a holiday destination. One publication, Cairns a Guide for Residents, Tourists and Business Men, 1938, states, "Without a doubt, the tourist traffic is a highly important industry to the Cairns district. During the winter months thousands of visitors take the opportunity of visiting the sunny north in order to escape the rigours of the southern winter." A 1946 report, produced by the newly established Queensland Tourist Development Board, stated that 5000 visitors a year were visiting the group of Barrier Reef Islands of the Whitsunday Passage, already selected by this board as one of Queenslands outstanding tourist attractions. Fishing and shell gathering were the main recreational uses of the reef at this time, with parties sometimes making massive collections of both during outings to places such as Green Island and Heron Island. Appreciation of the coral reefs - now the main focus of most reef trips - was confined in the early days to reef walks at low tide or glimpses through glass-bottomed boxes. Indeed, few reefs were accessible to day-trippers, the most spectacular ones, in the clearest water, too far from shore for limited trips. Technology, combined with a rapid worldwide rise in interest in recreational travel, transformed reef tourism in the later 1970's and 80's. The first large, high speed catamaran carrying 150 people at over 25 knots - and thus to previously inaccessible reefs - were introduced in 1982. Snorkelling gear, and then Scuba gear, began to be used with frequency at about the same time. Consequently, the number of companies involved in the industry increased dramatically, from fewer than 12 in 1968 to 180 in 1987 and 742 in 1998. Similarly, there has been a huge increase in the numbers of visitors*. In the early 1980's, this was estimated at 150 000 visitor days per year (40 times the visitation on the pre-1950 period). In 1987 this had risen to 450 000 and, 10 years later (1997), 1.6 million visitor-days were recorded. In financial terms, the gross output of tourism in 1987 was measured at around $200 million; by 1996, this had risen to roughly $650 million with the total value of reef tourism now calculated at over $1 billion (1999). Growth forecasts for the next decade range from five to ten percent. *Statistics do not include private or recreational use. So just what does a visitor want from a day or week on the reef? 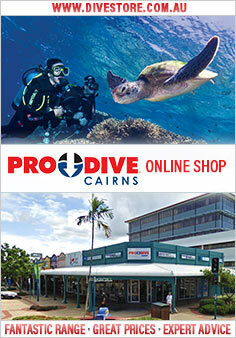 40 percent of the 1.6 million visitors are from overseas, with the percentage as high as 70 percent in Cairns. Many are repeat visitors who, research shows, tend to opt for smaller rather than large vessels for subsequent trips. In addition, the surveys have shown that almost half the visitors to pontoons (large steel platforms permanently moored at outer reef destinations) don't leave them, often because they don't want to get into the water, and would like a greater choice of alternative activities. However, the strongest message from those interviewed (82%) is a request for greater interpretation and education about the reef's complex ecosystem.